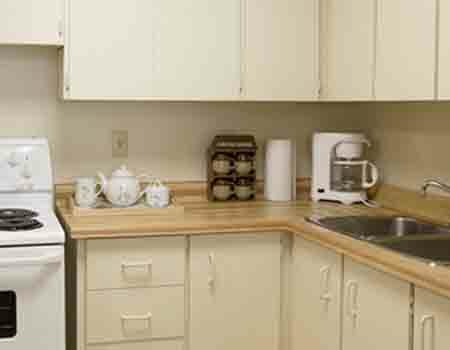 The Navaho rental apartments offer a 100% pet friendly environment perfect for every animal lover. Enjoy the green space and parks located close to the property. Affordable apartments for rent on Meadowlands Drive in Nepean, ON. Enjoy spacious suites, outdoor and indoor pools, playground, BBQ area, party room, and more. 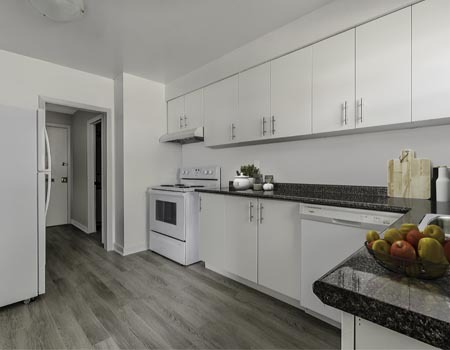 You'll find the newly renovated Navaho Townhomes and Garden Homes right beside Algonquin College campus and only 10 minutes from downtown Ottawa. 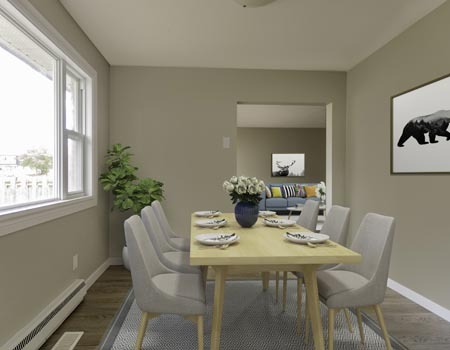 These brand new energy-efficient terrace homes come with everything you're looking for in a rental home. You'll see why it's so easy to call Navaho home. Enjoy everything you need, right where you want it. These brand new Ottawa west apartment rentals are just minutes from Algonquin College. Conveniently close to everything in Nepean. Enjoy a large balcony, outdoor pool, laundry and dishwasher - all just steps from transit and Algonquin College. This is active urban living in an inviting Nepean community, where spacious suites with laundry, outdoor space, and dishwashers are waiting for you. Balance work and play in McKellar Heights. Have fun in the indoor pool, sweat it out in the fitness facility and sauna, and enjoy the outdoor BBQ area. An enclave of newly updated two-storey townhomes that’s just off Woodroffe Avenue and close to Hunt Club Road, where you’ll be close to schools, transit, parks, recreation centres and all the local amenities the Knoxdale/Merivale area has to offer. Make the most of outdoor city living in Nepean. Walk to parks on every corner, make a splash in the outdoor pool, and enjoy the fitness centre and sauna. Here, nature is your neighbour – enjoy views of the Gatineau Hills and Ottawa River in Ottawa's west end. These Nepean rentals also feature wonderful amenities. The perfect balance between city and small-town living in a spacious one or two bedroom suite - close to the highway and minutes from the Experimental Farm. The best of the city is waiting for you downtown, where shops, cafés, restaurants and entertainment in this Centretown community welcome you. Where the comforts of home meet the perks of a hotel in the heart of downtown Ottawa. One80Five apartments feature housekeeping, dry cleaning, a pool and more. Enjoy days of work and nights of play in downtown Ottawa. The perfect home with 24-hour concierge service, daily coffee and tea, dry cleaning and more. Live comfortably at Castleview in Riverview where spacious suites with tennis courts, an outdoor swimming pool and fitness facility are waiting for you to enjoy. Character and convenience all in one in lower town. Enjoy affordable, one bedroom suites with hydro included and in-building laundry. Get comfortable in a vibrant and cozy community in Nepean. Enjoy parks and sports fields nearby, and the convenience of in-suite laundry and a dishwasher. You'll find Minto Apartments' award-winning, pet-friendly, smoke free rental apartments, townhomes and garden homes in 17 conveniently located communities across Ottawa, where outdoor culture, beautiful parks and walking trails, schools, medical care, markets, cafés and recreational spaces welcome you year round. 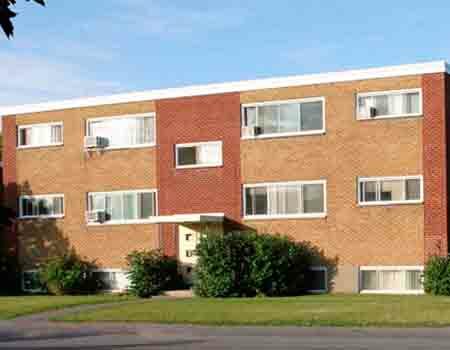 We offer apartments for rent in downtown Ottawa, Orleans, Vanier, Nepean, and other sections of the city. From bachelor apartments to terrace homes, there’s a Minto Apartment made for you.